For most tourism businesses now is the time of year to review your high season performance and plan ahead for the next one. This includes analysing how well your marketing and sales efforts are working to get bookings. Here are some areas you can review to help with your marketing planning. 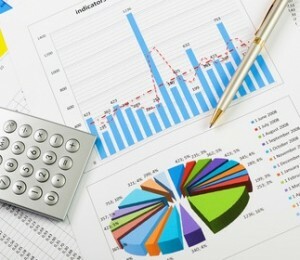 Go through your sales figures and do some analysis and graphs for different measures – e.g. Sources of bookings (direct, inbound agents, visitor booking offices, online websites, campaigns and advertising etc), Direct booking types (e.g phone, email, website, walk-in), Product Type sales (you may offer different tours, room types etc). Compare all of these sales results against last year’s figures too so you know where the changes have been. It may be that your current booking system doesn’t allow you to categorise your bookings in these ways – if not, is there a better alternative out there? Once you have analysed all of the sales measures that are important to your business you are then armed with great information to make better decisions about your what areas of your marketing and sales efforts need attention. This is now undoubtedly a key area for tourism businesses to get right. Have you invested the necessary time and money into delivering a quality website and comprehensive online marketing strategy including social media and networking? Does your website reflect the quality of your business and the experience you offer to travellers? Is it easy to book with you online? Are your number of direct bookings via your website increasing? What feedback do you get on your website? Do you use tools like google analytics to measure the performance of your website in detail so you know it’s performance rather than just gut feel? For example, knowing how many visits you get from external websites you’ve paid to list on is vital information when it comes to the decision on whether to renew for another year. Comments and feedback from your customers is always a vital way to improve your product and services, provided you seek out the information. Don’t be afraid to ask them, provide customer feedback forms or encourage your customers to place online reviews so you know what is working well and what isn’t. Don’t just blame poor sales on the recession – in realty there are always areas you can control and plan for in marketing and sales to improve your performance. Evernote lets you save all the interesting things you see online into a single place. Access all those saved pages from your computer, phone or the web. Sign up now or learn more. It’s free!